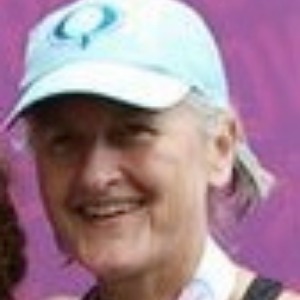 Ann is a USAT Level 1 coach in Montana focusing on triathlon coaching with an expertise in swimming. She has coached age group, high school, masters swimmers. She believes triathlon is a fine balance in a life of family, work, and play. Ann coaches multisport athletes of all ages, shapes, sizes, and abilities. Coaching is online with feedback using Training Peaks and video analysis. Ann is the race director for the Montana Women's Triathlon, a race with a mission to empower women through sport. Coach Ann is a triathlete, mother, and critical care nurse for over 31 years. After playing high school basketball she found swimming at Syracuse University where she lettered and captained without prior experience. This determination and desire is the foundation that led to six Ironman finishes with an age group 10th in Hawaii and podium finishes in Canada and France. She competes in all distances swimming, running, and biking but prefers endurance over speed. Mental fortitude over fast twitch. Coaching career includes age group, high school, and finally climbing the career ladder to masters swim coach. A USA Triathlon Level 1 coach since 2010 Ann has a strong belief in sharing her passion for multisport to anyone wanting to achieve healthy balance in busy lives. To this end she has also volunteered as the Regional Chair for USA Triathlon Pacific Northwest Regional Council and created the Montana Women's Triathlon where she remains as race director. The mission of the event is to empower women to improve health and happiness through sport. Success. Coach Ann Gilbert has been notified of your message.